Ingham’s started business in 1989. Our focus was to meet the needs of the trucking industry, dealing primarily in used truck tires and brokering retreadable truck casings. While calling on truck companies and tire dealers in early 1992, we noticed there was a need for a durable refinishing system for truck wheels—paint just wasn’t working. Truck wheels are undoubtedly subject to the most brutal conditions… they are assaulted by water, flying stones, road salt, heat, sun and petroleum chemicals every day. Truck tires can go 300,000 miles before they need to be changed, and the same is expected of their wheels. 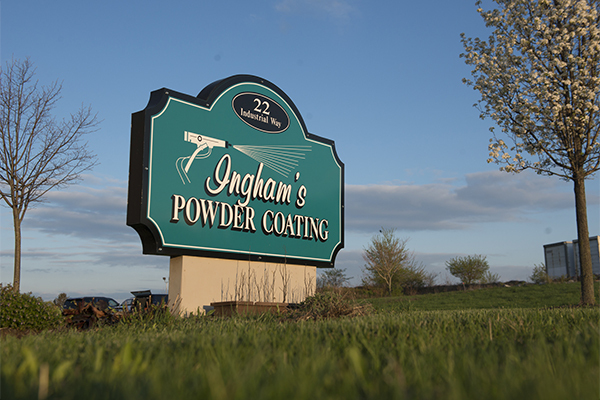 Over a decade ago, Kyle D. Ingham began powder coating wheels, and the word spread. Today we powder coat about 300 rims per week for companies such as UPS, Coca Cola, Pepsi, JLG Lifts and more. But we don’t just do wheels anymore, we are a powder coating company that will refinish anything metal-based, including: steel, aluminum, cast iron, cast aluminum, brass, copper and wrought iron. 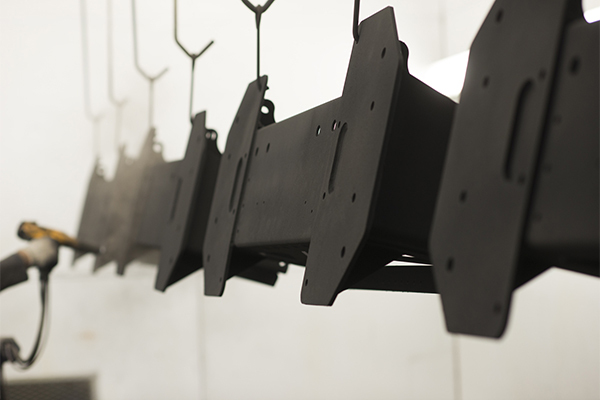 Since the beginning, we have continued to improve and update our process, while achieving quality results that are among the best in the powder coating industry, often exceeding even our own expectations. Our equipment, designed to do truck wheels, actually helped to create another niche. Our customers requested that we powder coat items other than truck wheels, and we were happy to meet their needs. We’re now among the more versatile powder coating companies, providing powder coating for motorcycle frames, fuel tanks, sprint cars, milk cans, antiques, automotive accessories, passenger wheels, industrial needs, etc. 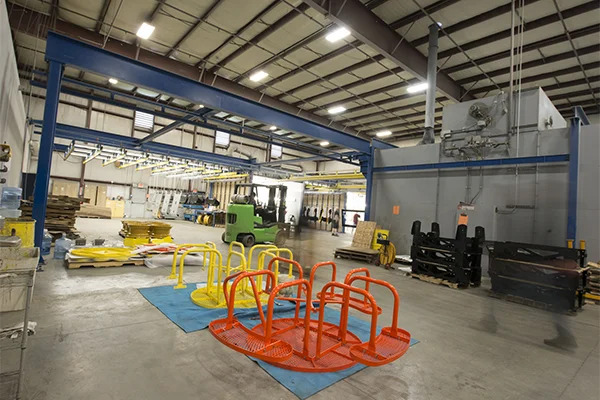 Other powder coating companies insist on large lots and long runs, and while commercial jobs are a specialty of ours, we are happy to help customers with small lots or even single items. Over the years, we’ve been privileged to work with many well-known companies and organizations, including Princeton University, Texas A&M stadium, Bon Jovi, America’s Got Talent, Nike Displays, Sea Keeper, Fashion Rocks, Clair Bros., Reitnouer Trailers, and many more. To ensure the highest levels of service for these top-tier clients, in 2013 we opened a second location that features two large ovens and two oversized blast rooms to accommodate even the largest industrial jobs.